Earlier this week, Tripwire Interactive officially confirmed that their cooperative first-person online action game Killing Floor 2 would launch on Microsoft’s Xbox One console on August 29th, priced at $/€ 39.99 and £29.99 with all of the previously released content packs (The Tropical Bash, The Descent and elements of The Summer Sideshow). Contextually, the same press release boasted that Tripwire had been working on Xbox One X specific enhancements, including 4K support. That said, given the broad range of 4K support we’ve seen on consoles with both PlayStation 4 Pro and Xbox One X, we reached out to Tripwire Interactive in order to find out more details. Xbox One X was a very smooth and easy platform to develop for. It took very little engineering effort to get our base Xbox One game running on the Xbox One X. It took maybe 4 hours of programming effort total. Killing Floor 2 runs at native 1800p, fixed resolution (no checkerboarding) on Xbox One X. We did experiment with true 4k rendering, but the frame rate drop was a bit too significant. 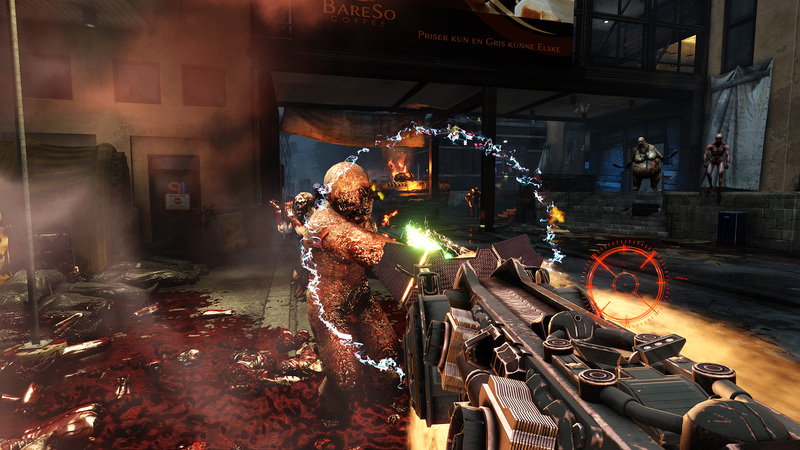 1800p provides the optimal balance between visual quality and performance in Killing Floor 2. We don’t have a specific frame rate target for XBox One X, although the game does run at higher frame rates than the base Xbox One, even at 1800p resolution. We will be using Ultra textures on Xbox One X. We are also increasing the resolution of our shadow maps and shadow draw distance. For comparison, Killing Floor 2 on PlayStation 4 Pro also features Ultra textures and 1800p resolution, though it uses checkerboard rendering rather than native resolution. We also asked whether there were any current plans to introduce HDR support on any platform, but the answer was negative. It looks like the definitive version of the game will continue to be on PC only, where Killing Floor 2 also benefits from more detailed gore powered by NVIDIA Flex technology. In case you haven’t tried the game yet, check out our review by Kai.